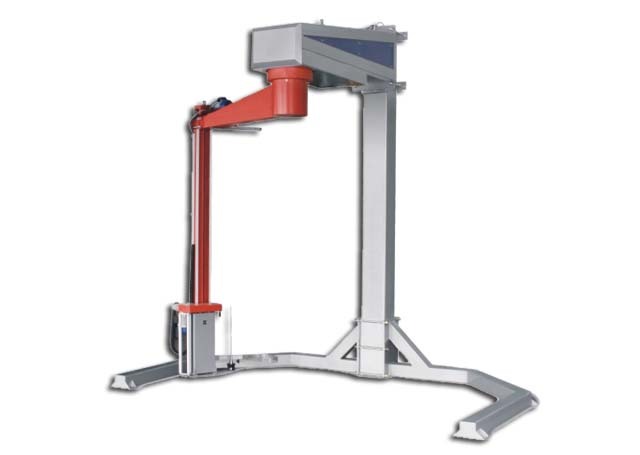 The PSW-OH2 is a heavy duty automatic stretch wrapper suitable for many applications, featuring a vertical swing arm that does not require a turntable. It is controlled by a state of the art PLC to ensure efficiency. The Power Pre-Stretch causes and automatic stretching of the film that allows for up to a 35% better efficiency on the raw materials. Description Overhead Pallet Stretch; Wrapper with Pre-Stretch, up to 300% savings in material. Turn Table Diameter (in) 78 3/4"
Mast Height (in) 122 7/8"